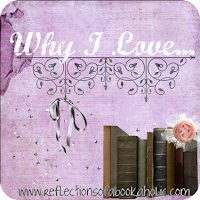 I am returning with my new feature... Why I love... which takes place on Wednesdays. Today's proclamation of love concerns any previous topic you would like. This week will be a little different. 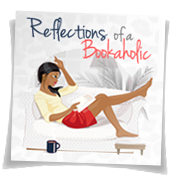 I'm trying to get organized in preparation for the school year by making sure I'm ready for school and ensure Reflections of a Bookaholic is in a place where I can spend less time online and still avoid getting behind. Thus, we have today's review post instead of a new topic. 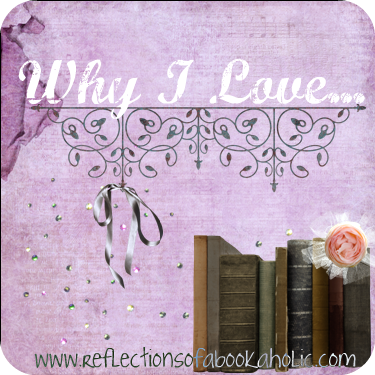 I want to list the previous Why I Love posts in the hopes that some of you will participate. 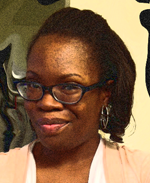 Choose a topic that you missed, create a post, and link up. Feel free to grab the image if you like. Don't want to write your own post? Feel free to participate in my comments. I would like that as well. Feel free to post in the comment section of this post or the comment section of the previous posts. Thanks in advance! For those who have participated every week, which topic was your favorite? 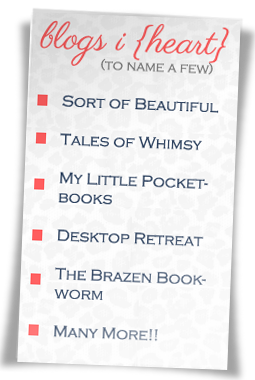 Which topic would you like to do again (I know some of us have TONS of favorites).